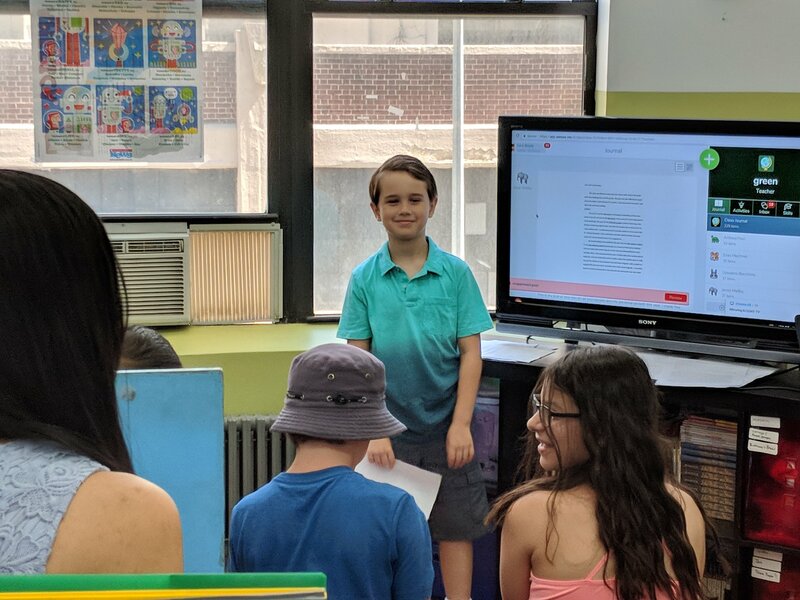 We closed out 2017-18 on June 20, with every student at Queens Paideia presenting aloud a summary of their year in each subject and on the meta-level, including self-management skills and what they could have done better and will do better next year. When you watch/hear this happen, one student after another, you stop wondering if it’s a fluke and start knowing you’ve got something good. Really good. Especially when the back-up proof is children who love coming to school. QPS Staff, too, had a rich, satisfying year. It was our challenge and pleasure to help our students–and then watch them–learn new content, gain new skills, improve at what they already know and can do, and sometimes do the hard, emotional work that comes with being part of a community. We are so proud of them for a multitude of reasons, but for now, let’s just say that they have an uncanny grasp of what they know, and the ability to articulate it. There are no lucky strokes here; it comes from the habit of regular discussion with QPS learning managers (instructors) and as part of a group, and from near-daily written self-reflection. It is the expectation of not only being able to do work, but also to explain it. The component pieces of a true education are many–including, but not limited to, reading, writing, inquiry-based research, problem-solving, discussion, and of course repetition and practice–but talking about them is key to pulling it all together and bringing its totality to meaningful life for yourself and for others. It’s our privilege to help make these pieces “happen” for our students each year and to provide opportunities for them to express what they have learned. The other privilege for us is watching QPS students be good to each other, learn to be better to each other, and try harder when they miss the mark. Happy summer. Y9 was truly fun day!